Montgomery Law operates its business on three fundamental principles: results, customer satisfaction, and cultivating lasting relationships with its clients. 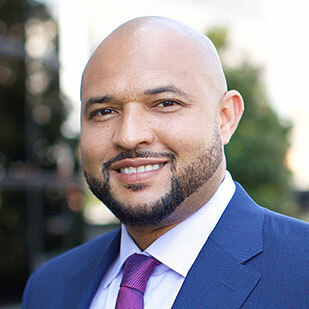 Headed by attorney Sadat Montgomery, our law firm represents injured clients and the families of those wrongfully killed—not only from the Dallas-Fort Worth Metroplex, but across the entire state of Texas. If you’ve been injured or have lost a loved one due to negligence, our personal injury law firm is dedicated to listening to you, understanding your needs, and working on your behalf to get every penny you deserve. We understand that when it comes to hiring a lawyer, the choice you make is an important one. We promise to give you dedicated and personal service, to help you fully understand the process, and to obtain justice on your behalf. Our main goals are to make sure you receive the medical treatment you need, to deal with the insurance company while you focus on recovering, and to achieve the best possible results for your case. Consultations are absolutely free, and we’re happy to evaluate the facts of your case for no charge. We work exclusively on a no-win no-fee basis, and never earn a fee unless we win. The team of legal experts at Montgomery Law are available to help those from across the Dallas-Fort Worth Metroplex, including Plano, Richardson, Frisco, Lewisville, Irving, Carrollton, Garland, Mesquite, Lewisville, Denton, and beyond. To learn more about Montgomery Law, we invite you to call us toll-free at 1-833-720-6090.